Is there a bench mark, is there a height mark beyond which all our moral values collapse? Do your principles have a price tag? Is there a point at which you will gladly abandon a belief for the ‘right reward’? This is the question we must answer in a world of constantly shifting grounds. Or else, how do you measure progress or regress in a world where there are no absolutes, where everything is moving and we are in a constant struggle? It is for this reason of inconsistency that we need absolutes in our lives. That’s what ethics and principles are – absolutes or benchmarks upon which we measure our lives, whether we progress or regress. But unfortunately, the human nature can be discussing ethics at one moment and be duplicitous at the same time. When you think of the brave, and the courageous or the perfect adventure, what comes to mind? The American Navy Seals, the Spartan warriors or is it the ninjas and samurais of the Asian countries? No doubt these guys are brave and partake in an adventure of a life time, but in my opinion, the Christian missionary is the bravest and his quest the greatest of all. I need to apologize for posting this a day later than I usually do. There were many factors militating against my putting it up on Friday (yesterday). But thank God those factors have been overcome today. In my last post, REDEMPTION – A Second Chance, I told you about the experience of heaven in Joshua Harris’ I Kissed Dating Goodbye. My prayer for you still holds true even today; that you find faith in the Lord Jesus today for a second chance. But the swelling didn’t disappear, and a month later Brad lay in a hospital bed awaiting amputation of his left leg. The lump turned out to be a malignant tumor that was sending runners out in several directions in Brad’s foot. The next day a surgeon removed Brad’s leg just inches below the knee. Recently I was given a second chance at life, and a fear that I had long borne was swallowed up in the sea of God’s mercy, never to resurface again. Although that’s not what I plan to write about today, maybe another day I would, but today, what I really desire is to share with you the power and beauty of a second chance. 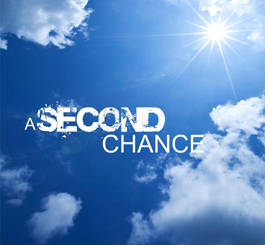 What does a second chance look like? And more importantly, what do you do with it? Fortunately for us, there are always second chances to pursue our dreams, rebuild relationships and correct past blunders… Sometimes we believe this but most times we do not believe this for ourselves. In our thinking we say, “Maybe for that guy but not for me. I’ve gone too far to make a “U” turn”. But honestly it’s never too late. I’m sure you can relate with this quite well. Like when an apology is long overdue that you now feel is too late, or you’ve borrowed something for far too long, returning it is no longer an option. You’ve lived and had children together with your boy/girl friend that marriage now looks unnecessary. Too old to return to school to get that degree you’ve always wanted. Whatever the case, there are always opportunities for a second chance. Life through my eyes... Telling my stories.